Limited VIP Tickets available through Saturday, October 7th. Open seats for this performance may be available at the door. General Admission Tickets For This Performance are ALMOST SOLD OUT! If you are unable to complete a purchase of General Admission Ticket, you may elect to add your name(s) to a waitlist however we cannot make any assurances that sufficient tickets will become available. Please consider either Friday, October 6 or Saturday, October 7 for General Admission or purchasing VIP Tickets for this performance. 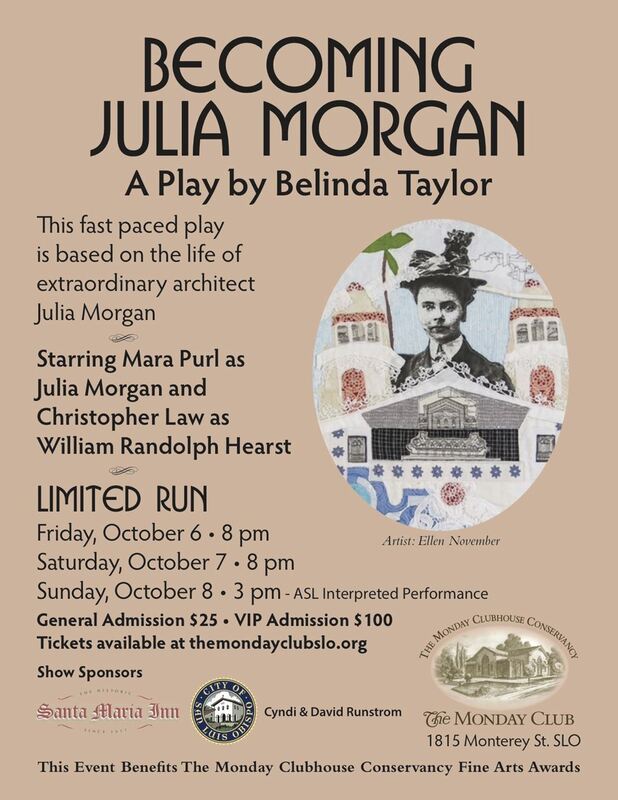 Your VIP Ticket is a donation to The Monday Clubhouse Conservancy and will be a special experience while providing funds for our Fine Arts Awards Program. Thank you!